Everyone wants to travel to Penang for their own getaway vacation. But you have to be smart before getting there, as some knowing tourists can get charged extra. So in this guide, we want to help you prepare for Penang and have fun during your stay. Penang is an island off the northwestern coast of Malaysia. It consists of two sections – Penang Island, which is near the capital of Georgetown. And an area named Seberang Perai, an island that was previously called Province Wellesley. Through Seberang Perai is twice its size, most travelers spend their time on Penang Island. 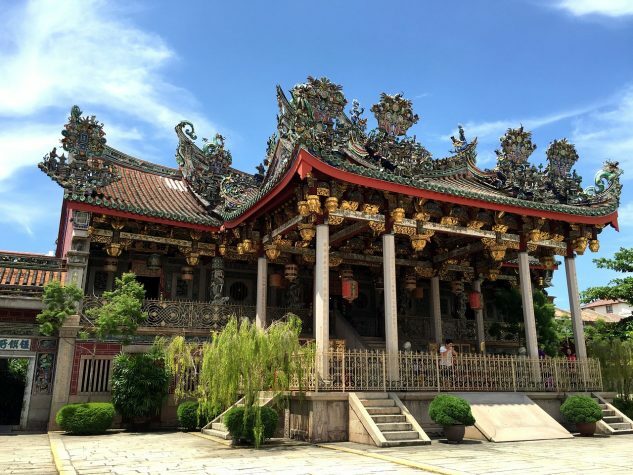 When travelers think about Penang, the first thing that comes to mind is George Town and it`s beautiful heritage houses Georgetown is home of the largest collection of pre World War II shophouses and houses in South East Asia. When Should I Visit Penang? Dec-Feb: As we stated earlier, this is the most optimal time to visit Penang. This is the dryest tie of the year and is the coolest period. Mar-May: This time has fewer tourists, but has a high chance of rain. Jun-August: If you dislike big crowds and can withstand the rain, this is the best time to go. Sept-Nov: If you don’t like too much humidity or heat, then avoid this month period. There’s too much rain, making it uninhabitable for most travelers. Unless you currently live in Malaysia, most international travelers arrive in Penang by plane. Georgetown is approximately 30-40 minutes through Penang International Airport. By Bus: If you’re traveling on a budget you can take the singapore to penang bus. The Rapid Bus Lines 401, 401A operate from the airport and Georgetown. The fare is about RM 2.70 for each ticket so make sure you have small bills in your possession because the driver doesn’t have change. Buses travel every 30 minutes and take an hour to reach Penang. One you arrive, you can either walk to your hotel, take a Taxi or use Grab. Private Transfer: While this is the most convenient option, it’s the most expensive. If you want to book a private transfer from the airport to the hotel, you can use apps like Klook to help. Taxi/Grab: The fastest way to get to Penang from the airport is by Grab or taxi. The terminal stand is outside the arrival area and a taxi ride will cost around RM 38. If you have a good Wi-Fi connection, you can use Grab. When traveling to Penang, you’ll get to experience its warm beaches, high quality food, and an interesting nightlife in South East Asia. So plan accordingly before getting there to ensure that you’re comfortable and within your budget throughout the trip. Do you have any questions about traveling to Penang?